This post is pretty much for my own savage amusement. I've seen this piece (appearing below) previously, but I thought it would be fun to share with you. There's a lot of material about Boston floating around online given the events of last week. With respect for those who were killed and wounded, we're also trying to remember "Who we are" as a community. 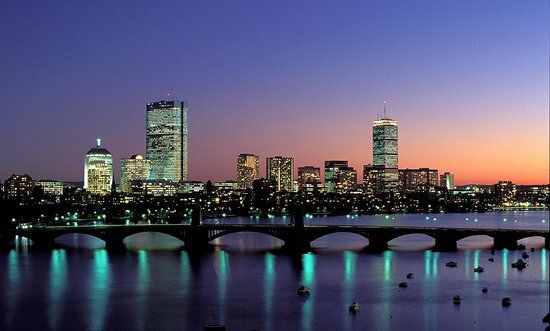 We, like pretty much every other city, have a number of quirky, fun, confusing and interesting traditions and cultural aspects that make Boston and the surrounding area "Home." The geographical center of Boston is in Roxbury. Due North of the center we find the South End. This is not to be confused with South Boston which lies directly East from the South End. There is no school on School Street, no court on Court Street, no dock on Dock Square, and no water on Water Street. Arlington, Berkeley, Clarendon, Dartmouth, etc. So are South Boston streets: A, B, C, D, etc. If the streets are named after trees (e.g. Walnut, Chestnut, Cedar) you are on Beacon Hill. If they are named after poets, you are in Wellesley. Massachusetts Avenue is Mass Ave. Commonwealth Avenue is Comm Ave.
South Boston is Southie. The South End is the South End. East Boston is Eastie. The North End is East of the former West End. The West End and Scully Square are no more; a guy named Rappaport got rid of them one night. Roxbury is the Burree. Jamaica Plain is J.P. There are two state houses, two city halls, two courthouses, and two Hancock buildings (one is very old; one is relatively new). Most people live here all their life and still do not know what the hell is going on with this one: Route 128 South is I-95 South and it is also I-93 North. The underground train is not a subway. It is the T, and it does not run all night. (Fah Chrysakes, this ain't Noo Yawk). Order the “Cold Tea” in China Town after 2:00 AM you will get a kettle full of beer. Bostonians: think that it is their God-given right to cut off someone in traffic. Bostonians: think that there are only 25 letters in the alphabet no Rs, except in “idear” and “Pizzer” (pizza). Bostonians: think that three straight days of 90+ temperatures is a heat wave. Bostonians: always bang a left as soon as the light turns green, and oncoming traffic always expects it. Bostonians: believe that using your turn signal is a sign of weakness. Bostonians: think that 63 degree ocean water is warm. Bostonians: think Rhode Island accents are annoying. The bridge connecting Boston and Cambridge via Massachusetts Avenue is commonly known as the Harvard Bridge. When it was built, the state offered to name the bridge for the Cambridge school that could present the best claim for the honor. Harvard submitted an essay detailing its contributions to education in America, concluding that it deserved the honor of having a bridge leading into Cambridge named for the institution. MIT did a structural analysis of the bridge and found it so full of defects that they agreed that it should be named for Harvard. This is all true! Do not pahk your cah in Hahvid Yahd. They will tow it to Meffa (Medford) or Summahville (Somerville). Do not wear orange in Southie on St. Patrick's day. The Sox = the Red Sox. The Cs = the Celtics. The Bs = the Bruins. The Pats = The Patriots. Samoset: Sam-oh-set or Sum-aw-set, but nevah Summerset! Frappes are made with ice cream - milkshakes are not. If it is carbonated and flavored, it is tonic. Tonic means soda. When we want club soda we ask for club soda. When we want tonic water we ask for tonic water. Pop is another name for Dad. Scrod is whatever they tell you it is, usually fish. If you paid more than $7 per pound, you got scrod. It is not a water fountain... It is a bubblah. It is not a trash can... It is a barrel. It is not a hero, or a grinder... It is a sub. It is not a shopping caht... It is a carriage. It is not a purse... It is a pockabook. They are not franks... They are haht dahgs. Franks are money used in Switzahland. Police do not drive patrol units or black and whites... They drive a crewza. If you take the bus, you’re on the Looza Crooza. It is not a rubber band... It is an elastic. It is not a traffic circle or round about... It is a rotary. "Going to the Islands" means going to Martha's Vineyard or Nantucket. In this blog post I discuss how Staples generated $15 out of thin air by selling me a card that assures repeat business and more importantly, Customer Loyalty. I end it with a question: How can you do the same in YOUR business? This morning I stopped into Staples to buy some DVD-ROMs. At the check out the cashier asked me if I buy a lot of toner and ink at Staples to which I replied "Yes." She then presented a "Savings Pass" that would guarantee 10% savings on all ink and toner purchases between now through May of 2014. All it would cost is $15. I did some quick calculating in my head and figured I would recoup that $15 investment pretty quickly, so I bought it. Then I congratulated her and said "Nice Up-sell." She smiled and said "Thanks." Though I didn't ask her, I'll bet Staples pays her a percentage of each one she sells - which would be a smart thing to do. Well, Staples wound up with $15 in revenue they probably wouldn't have had from me. They increased the transaction size from $20 to $35. They also sold me money at a discount. I'll save 10% on future purchases and my savings won't really start until I've recouped the $15. Like I said, I'll do that, so it was worth it to me. Here's the other thing. They "Sold me loyalty." By making me pay something to access the savings they made me put some "skin in the game." Now I'm more likely to return to Staples to buy my ink and toner, because I want the savings and I want the money back. I at least want to break even. The 10% savings I get won't really hurt Staples too much either. It also means I'll be walking through the door more regularly and probably buying items other than just ink and toner. If I don't then hey, they got $15 of my money for free so it's a win for them. But it's also a win for me. I basically have 14 months to recoup a relatively small investment with savings that will add up over time. I win too, so that's a great arrangement. One way people/businesses get rich is by getting paid before doing the work. This is a brilliant way of getting money up front. Your first instinct might be to say: "John, I'm a voice over talent. I'm not in retail so this won't work for me." Yes it will. You just need to think about it creatively. I've got a couple of ideas already for my business. Rest assured I'll be thinking of other ways I can use it too. Can you think if ways you can apply this concept in your VO business? I'd love to hear from you. This is a great opportunity to think outside the box. Let's hear them! Scan This With Your Mobile Device! It's hard to believe 10 years have almost passed since that terrible day when Al Qaeda Terrorists attached our country. We were all touched by loss that day, either directly, or indirectly. A High School friend of mine, Ted Hennessy was on the first plane that crashed into the World Trade Center. Ted and I weren't super close friends. He was a year older than I, but we were in Cub Scouts together. His father was the Pack leader. We were in band together for many years, went to the same church. Ted was a very talented musician, and what a whit. Cutting, hysterical and... kind. I didn't see Ted much after he graduated High School, but he worked for a company that provided printing software that was used in my parents' business. He trained my folks how to use it. In short, both our families lives intersected in many ways. It's odd, sometimes, how we as people measure time and that somehow, in some way 10 years, a decade... has slightly more significance than say 7, 8 or 9 years. It's something we all do. And so we do it this year in remembering that terrible day, that horrible and painful time. I went through my archives and came across an audio montage of clips I pulled from our sister station WBZ AM 1030's broadcast on 9-11-01 and the days following. I combined it with other clips we had archived from coverage of another tragedy here in Worcester, Massachusetts where several fire fighters were killed battling a warehouse blaze a few years earlier. I set the piece to Aaron Copeland's "Fanfare for the Common Man." Putting it together was part of my grieving process. It was what I could contribute at the time. It was the only thing I could think to do. It aired several times during the few days after 9/11/01. It has not aired since. I present it to you now, in memory of Ted, the First Responders and Service Members and all of us who lost a little more innocence that day. Affirmative action for Ugly People? Ok... In the land of Equality of Opportunity Vs. Equality of Outcome, this one has me a little more than bewildered. Indulge me, for this post is dripping with sarcasm. You might want an umbrella. Economics professor Daniel S. Hamermesh of the University of Texas at Austin is proposing another class for Affirmative Action... for ugly people. The professor has done some research and from all appearances he's got figures that prove "Ugly people" earn fewer dollars over their lifetimes than "Good Looking people." Life just isn't fair, is it? Hey professor! When I was a kid I wanted to play in the NBA. Guess what? I'm 5 feet 11 inches and I can't shoot straight to save my life. That's not fair either. He claims ugly people can't really change their ugliness. Therefore, in his opinion, ugly people should get affirmative action... uh... what's the term here... benefits/protections? Seriously? How are we going to determine this? Isn't "beauty in the eye of the beholder"? What if someone dropped a few pounds or got a different haircut, or a nose job, or dental bonding, etc? Will this take them out of the "Ugly" pool? Will plastic surgeons be put out of business because people won't get as much plastic surgery because they get better benefits being ugly? Did you ever think of that, professor? Maybe we should then give affirmative action protection to plastic surgeons to help them out too. Will we be setting up yet another government review board so people who feel less than comfortable in their appearance can get their official "Ugly Stamp of Approval"? What kind of acronym can we come up with for this? Here's one: "BURP" Board of Ugly Review Process. Here's another: "DUPE" Department for Ugly People Equality. How about another? "BUPKIS" Bureau for Ugly Persons Kindness In Society"
Picture this. A person walks into the "BUPKIS" and says: "I want to be a protected class, because I think I'm ugly. Please label me 'Ugly'." "Whaddya think? Is he really ugly or not?" "Looks pretty ugly to me." "All those in favor of deeming the person 'Ugly' say 'Aye'." "Congratulations, you're officially 'Ugly.' Here's a paper bag. Please put it on." What about the Fugly people? Will they get "Uber Ugly" Status? I don't think I'm ugly, but I've "got a face for radio" and I've done pretty well, if I do say so. To me this is utter nonsense. Our economy is on the ropes. Businesses aren't hiring because of the uncertain business environment and costly regulations and this guy Hamermesh wants to add "Ugly" into the mix. Spoken like a true professor who hasn't a clue about running a business. Maybe he does, but I doubt it if he's got time to study ugly stats. This is an ugly idea that should get neither affirmation nor any action to further the cause. Last week I sent out an email to my newsletter subscribers and asked them to share some of their weirdest experiences, while recording or performing. The winner of the voted best story will win a $50 Starbucks gift card, or something of equal value if you're not a coffee drinker. I'm happy to say the stories I've received so far are great, so if you have a great recording session story, send me an email to: John@JohnMelley.com and share it with us. I'll post them and the story that receives the most votes will win the $50 Starbucks gift card, or something of equal value if you're not a coffee drinker. I specialize in audiobook narration, and a big part of my enjoyment in doing this comes from volunteering at RFB&D. I get to read/record all sorts of books for them, from technical instruction manuals, to medical textbooks, to fiction. Recently I had a children's book by author Jon Seizka (sp?) called "Spaceheadz". I was having great fun with it until I got to a chapter 4 pages long of the hamster speaking. 4 WHOLE PAGES of "eeek weeeeek eeeeek eeeeeee, weee eeek"! This one got me both laughing and out of breath. I can now add a 3rd language to my capabilities..... hamster! My nightmare has reoccurred a few times, recording my interviews over the phone and nothing on playback. We’ve been caught saying some things with the mics open at the Meadowlands. Once I called an entire race with the mic off, or they didn’t record the race, so I had to improvise over the replay. Watched the replay show with bad edits inadvertently left in. underwear in his hotel room eating peanuts from a planters bag? He greeted me and asked me to take a seat. In hooking up my Nagra Reel-to-Reel and plugging it into the wall socket as a safety precaution in case the battery failed I began my interview. Half way through it, I happened to look down and notice that the mic cord was dangling. The darn thing wasn't even connected to the recorder. You talk about a red face. Whew! By then Mr. Basie noticed it too and he began to laugh and laugh - then I began to laugh and laugh as tears rolled down my face. Being the kind gentleman he was, he said don't worry sonny, we can start all over again whenever you're ready. About 25 years ago, I had a client who sounded like a sloth on downers, but insisted that he do his own tag line. This was many years before digital manipulation would have allowed me to time compress him, so I used an old trick I learned years before. Several wraps of tape around the capstan increased the speed of the tape slightly, speeding up the delivery but not so much that it distorted his voice. Judicious splicing of the resulting tape made him sound a lot less like he was on Quaaludes. What they say about multimedia these days was always true: it's all about the workarounds. Does singing the Ave Maria in church and swallowing a bug interest you? I was singing a solo and straight out...... mouth open....bug in and gag, cough, gag! It was difficult to explain to the congregation what had happened, so I continued and re-grouped. Maybe that's how you all got your show-biz genes. So send YOUR great recording session story to: John@JohnMelley.com and share it with us. I'll post them and the story that receives the most votes will win the $50 Starbucks gift card, or something of equal value if you're not a coffee drinker.